Singapore has one of the world’s lowest homicide rates, but much like its partner in (low) crime, Iceland, it’s fertile ground for noir stories. 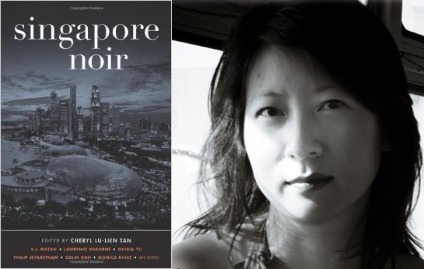 Launched this month, ten years after the release of Brooklyn Noir, is Brooklyn-based Akashic Books’ newest title in its bestselling series of Noir anthologies, Singapore Noir, edited by the Singaporean writer Cheryl Lu-Lien Tan, a former staff writer at the Wall Street Journal and author of A Tiger in the Kitchen: A Memoir of Food and Family. Nicole Idar: Singapore is the fourth Asian city to boast an Akashic Books Noir anthology, after Delhi, Manila, and Mumbai (Seoul is forthcoming). Can you tell us how Singapore Noir came about? Cheryl Tan: I’d long admired New York publisher Akashic Books’ award-winning Noir series—a series of anthologies, and there are dozens by now, each one set in a country or a city. Brooklyn Noir was a personal favorite but you also have everything from Baltimore Noir to Paris Noir. Some really big names have edited these collections of dark stories set in these locales—Joyce Carol Oates edited New Jersey Noir, for example, and Dennis Lehane edited Boston Noir.